Today swirl engagement rings are considered one of the most unique engagement rings and are highly demanded by ladies. Have you ever wondered where did the idea of swirl rings come from? What does swirl symbolize? And finally whose brilliant mind thought of creating swirl engagement rings? Let’s begin to reveal the secret of swirl rings. The idea of swirl is two becoming one, like in a marriage. If you look attentively it is one wire, but on top looks like two. It symbolizes eternal unity and love of two people. The idea of swirl rings belongs to owner and designer of Danhov, Jack Hovpesian. “I always think of designs that have never been done before. The idea was spontaneous, when you think of something a lot, it comes in your dreams”, noted Jack. Danhov offers wide range of swirl engagement rings in different metals; platinum, white gold, yellow gold, rose gold; different designs with different stones; diamonds, sapphires, rubies and other gemstones. Swirl rings are the unique signature of Danhov. 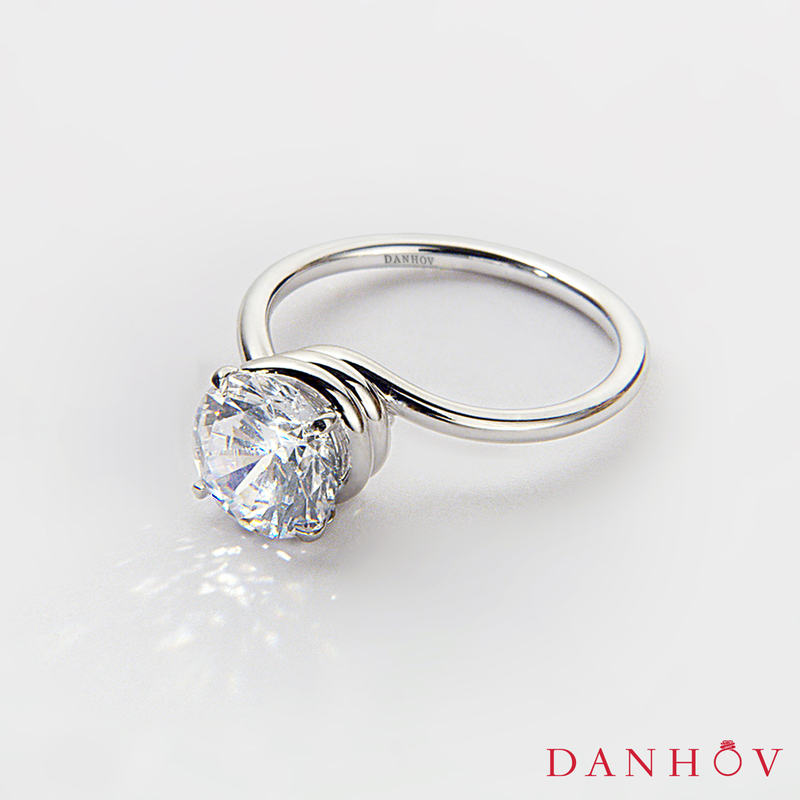 It is worth to note all Danhov rings are uniquely handmade by our artisan jewelers in Los Angeles.